Wahab Riaz’s selection for the tour of England last summer was a controversial & questionable one. There were common lines like: he has connections, he hails from a rich background/family, he only took 14 scalps in the 2009/10 season and so forth. Generally there were eyebrows raised as he was not one of the most deserving or impressive performers within the domestic circuit. To further add to his woes & negative like reputation he was widely suspected for involvement in the spot fixing scandal with his jacket exchange outside a London restaurant captured by the News of the World. He was receiving overwhelming abuse from his own supporters contingent during the 2nd One Day International at Leeds in September where he was serving 12th man duties. A few hours before the 4th ODI at Lords he got caught up in a physical altercation with England’s Jonathan Trott. The level of dislike attached with him was staggering. However, putting this aside Wahab has put all of these analogies behind him, overcome the speculations and negativity previously associated with his image, won many diehard supporters including myself, experts who sing his praises, people even going as far as saying he will be the “next big superstar” figure from Pakistan by simply letting his continuous heroic performances do the talking on the field to impress one and all. Full marks must be credited to Wahab for the manner in which he has fought, battled and responded to wet slap his doubters, haters & critics all within 1 full year of representing his country & that too at a relatively young age of 25. There were days in September where he was experiencing nothing but hell, but now he living the dreams of dreams by emerging as one of the best & most exciting finds in the international area with an extremely bright future ahead. The left arm sensation has surely done his fellow countrymen proud. I for one certainly know he has done me proud. 1) First innings 5 for on Test debut at the Oval in a winning cause. This was Pakistan's first test match win on English territory in 9 years. 2) Leading wicket taker in the Faysal Bank Twenty20 tournament for Lahore Lions who won the tournament in October 2010 after Sialkot Stallions had won the competition for 5 years running previously. 3) Magical spell at Hamilton in a test played in January this year where Pakistan bowled out New Zealand in a single session, won a match in 3 day and went on to have a margin of victory of 10 wickets. 4) 30* in international T20 game on 26/12/10 at Eden Park which was Pakistan's highest score in that particular match. 5) Leading ODI wicket taker with 8 scalps in 3 matches against New Zealand in early 2011 which gave Pakistan their first ODI series win in New Zealand for 17 years. 6) 9 wickets in 5 LOI matches against West Indies which was the most by any Pakistan player from the touring party as they won the ODI series 3-2. 7) Arguably taking the catch of the CWC tournament against Canada on 03/03/11. Also, the game changing catch of Eoin Morgan he took at the Oval in the 3rd ODI at deep square leg last September. 8) 5/46 in Mohali semi final when his place in the team ahead of Shoaib Akhtar was questioned from all corners but he ended up going on to be the star of the show against a potent World Cup champion batting line up in one of the biggest sporting spectacles ever seen as far as media hype, revnues and excitement is concerned. 9) First two performances for Kent CCC now. In the first match he smashed an unbeaten 32* from 15 ball batting at number 6 in a spectacular match winning assault on the Glamorgan bowlers. Then he followed it up by taking 5/17 in just 3 overs including a hattrick against Gloucestershire in a stump cart wheeling exhibition of left arm destruction. Simply admirable! You will run out of superlatives to describe what he has gone through & achieved. Personally, I believe he is Pakistan’s best pacer of the current generation & held this thought before the World Cup too. He has potential to overtake many other fast bowlers who have been relatively successful for Pak since the retirements of the 2 Ws. We are with you and behind you Wahab! May our milkshake loving tweeter experience all the success & happiness he is capable of ahead. An iconic and talismanic personality in the making. Wahab is not one of those doublers' who runs in and puts the ball on the spot every ball. He can be erratic, wayward, expensive & bowl some wild deliveries which are we are going to have to live with which is why it might be hard to have both him and Gul playing in the same starting line up if you get what I mean. However, he likes to express himself by demonstrating his skill level & running through his variations. He runs in hard every ball looking for wickets. He has a knack of taking wickets from ordinary deliveries but also bowling some magical unplayable deliveries. He has genuine pace: he hits the bat & keepers gloves hard & can clock up to 90 mph, got a good slower delivery which in an important tool in LO cricket & can bowl a devastating yorker with his low arm slingy action as well as reverse the old ball. I have seen him run in and hit the pitch hard looking to bowl one side of the wicket in one channel according to his field when he comes on first change in ODIs when he is basically just looking to contain batsmen, but later on he comes back at the death as a different bowler all together. Up front relies more on seam movement & pace to trouble batsmen with his unorthodox wrist action with most deliveries shaping away from the right hander. He would have been a finished article if he could bring the ball back into the right hander from conventional swing, but I don't think we will see that anytime soon because technically he is awkward. Bats & fields well too. Generally, I like him & rate him. He is aggressive, attacking, exciting & entertaining material. I think he will be more suited to the shorter formats overall in his career. Lacks a bit of discipline & control, but he is the man for all formats at the moment. He is my favourite sub continental fast bowler at the moment. He has taken the most wickets by a Pakistan cricketer in the Friends Life T20 group stage campaign with 19 scalps in 12 matches. He has been a very attacking option & bowled expertly with his fullish yorkers & occasional change ups at the death. 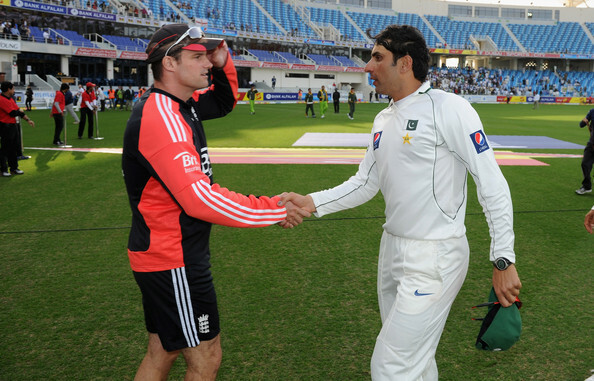 He has delivered during important junctions in the match when Rob Key needed him.